Comfortable Canterbury hotel just off the A2, with a restaurantHoliday Inn Express® Canterbury hotel is a 10-minute drive from Canterbury's historic city centre.You're seven minutes by car from Canterbury West station, where direct trains whisk you to London in as little as an hour. Heathrow Airport (LHR) is an hour and 15 minutes away. Visit magnificent Canterbury Cathedral, with its medieval stained-glass windows, lofty Gothic Quire and tranquil cloisters. You can catch musicals, international ballet and drama performances at the sleek, contemporary Marlowe Theatre, or take a stroll through the shops and cafes at bustling Whitefriars Shopping Centre. If you’re in the mood for a family day out by the water, the charming seaside towns of Herne Bay and Whitstable are an easy drive from the hotel.At this hotel you can enjoy:- Free WiFi- Electric car charging points- Two meeting roomsGet your day off to a bright start with the included Express Start™ Breakfast, with English and continental choices. Our vibrant, welcoming restaurant also serves an international menu for dinner. Relax with a drink or a coffee from the well-stocked bar, open for you around the clock. Guest rooms feature comfortable bedding, a pillow menu and blackout curtains for a restful night’s slumber. This charming hotel is 2 miles from Canterbury and close to Dover and the Eurostar. Dating back to the 12th century, it is surrounded by picturesque hills and fruit trees. Howfield Manor Hotel has 5 acres of gardens and 15 rooms furnished in a traditional style. Each room has free Wi-Fi, satellite TV, and facilities for making tea and coffee. Guests can enjoy freshly cooked French-style cuisine in the restaurant, which is set the oldest part of the building. Food is homemade, and fresh local ingredients are gathered from the nearby towns and villages. Canterbury is a historic cathedral city, with numerous old buildings and attractions. Some structures, including the city wall, were founded in Roman times. Ideally located within walking distance of the historic sights of this stunning cathedral city and Canterbury East train station, our Canterbury hotel features our new generation bedrooms, each with a freshly-updated bathroom with large shower head, and a brand new, slumber-inducing, king-size Hypnos bed. After a great night's sleep, head out and discover the impressive Canterbury Cathedral, St Augustine's Abbey and St Martin's Church (an UNESCO World Heritage Site, no less) or enjoy a little punting on the River Stour. Nearby shopping areas include the King's Mile and Whitefriars Canterbury. With a stay at Turing College -University of Kent in Canterbury, you'll be a 1-minute drive from University of Kent and 9 minutes from Canterbury Cathedral. This hotel is 1.9 mi (3.1 km) from Marlowe Theatre and 2.8 mi (4.6 km) from Canterbury Christ Church University. Featured amenities include a 24-hour business center, express check-in, and express check-out. Planning an event in Canterbury? This hotel features 500 square feet (46 square meters) of event facilities. Free self parking is available onsite. Make yourself at home in one of the 11 guestrooms featuring DVD players and flat-screen televisions. Complimentary wireless Internet access is available to keep you connected. Bathrooms have showers and hair dryers. Conveniences include coffee/tea makers, and irons/ironing boards can be requested. Make yourself at home in one of the 15 guestrooms. Complimentary wireless Internet access is available to keep you connected. Bathrooms have complimentary toiletries and hair dryers. Conveniences include phones, as well as safes and coffee/tea makers. Take advantage of the hotel's room service (during limited hours). Quench your thirst with your favorite drink at the bar/lounge. Full breakfasts are available daily from 7:00 AM to 10:00 AM for a fee. 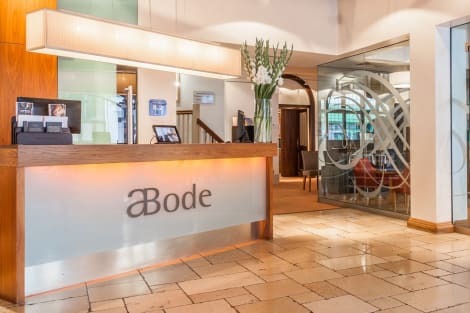 With a stay at ABode Canterbury, you'll be centrally located in Canterbury, within a 5-minute walk of Marlowe Theatre and Canterbury Cathedral. 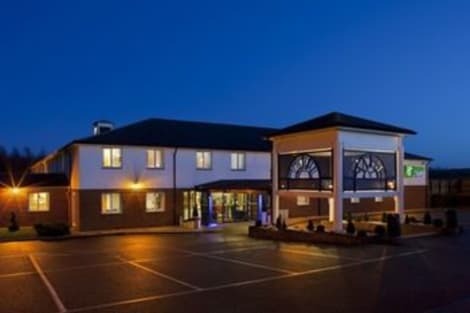 This 4-star hotel is 0.6 mi (1 km) from Canterbury Christ Church University and 2.8 mi (4.5 km) from University of Kent. With a stay at The Arthouse, you'll be centrally located in Canterbury, a 4-minute drive from University of Kent and 6 minutes from Canterbury Cathedral. This guesthouse is 0.5 mi (0.8 km) from Marlowe Theatre and 2.1 mi (3.3 km) from Canterbury Christ Church University. With a stay at Petros Court – Canterbury Christchurch University in Canterbury, you'll be minutes from The Canterbury Tales and Canterbury Roman Museum. This hostel is within close proximity of Royal Museum and Art Gallery and Canterbury Cathedral.Rooms Prepare your meals in the shared/communal kitchen. Complimentary wireless Internet access is available to keep you connected. Bathrooms have showers and complimentary toiletries. Conveniences include desks and irons/ironing boards, and you can also request cribs/infant beds (complimentary).Amenities Take in the views from a terrace and make use of amenities such as complimentary wireless Internet access.Dining Full breakfasts are available for a fee.Business, Other Amenities Featured amenities include a 24-hour front desk and luggage storage. Possibly one of the most visited cities in the United Kingdom, Canterbury is a city full to the brim with history and culture, stunning architecture, good food and excellent shopping. There's much to see and do over the course of your stay and it's the perfect destination for a holiday, weekend visit or day trip. Made famous by its magnificent cathedral, Canterbury became a major focus of pilgrimage following the martyrdom of Archbishop Thomas Becket in 1170. A journey of pilgrims to his shrine served as the basis for Geoffrey Chaucer‘s famous 14th-century classic The Canterbury Tales. The history of the city goes back much further than the medieval period, however, as Canterbury has been inhabited since prehistoric times. Lower Palaeolithic axes and Neolithic and Bronze Age pots have been found in the area. There are many historic structures throughout the city. In fact, the old city wall was founded in Roman times before being rebuilt in the 14th century. The ruins of St Augustine's Abbey and the Norman Canterbury Castle also make for an interesting visit. The King's School, established in 1541 under the reign of Henry VIII, is thought to be the oldest school in England. The medieval St Margaret's Church is home to Chaucer's The Canterbury Tales, and life-sized character models help to reconstruct these famous stories for visitors. Canterbury Cathedral is the mother church of the Anglican Communion and was founded in 597 AD by St Augustine. It now forms a World Heritage Site and receives over one million visitors per year, making it one of the most visited places in the whole of the UK. Canterbury is home to the Marlowe Theatre, named after the Elizabethan playwright and poet Christopher Marlowe who was born in the city. Theatrical performances take place in other areas of the city as well, such as in the Cathedral and St Augustine's Abbey, and there's a cinema for some Hollywood action, too. Families may like to visit Howletts Wild Animal Park with over 90 acres of beautiful ancient parkland to explore and some of the world's most endangered and rare animals. A trip to the coast in nearby WhitsSEOSITE_LEVEL_DESCRIPTION or Herne Bay is a great day out with plenty to do for the whole family. 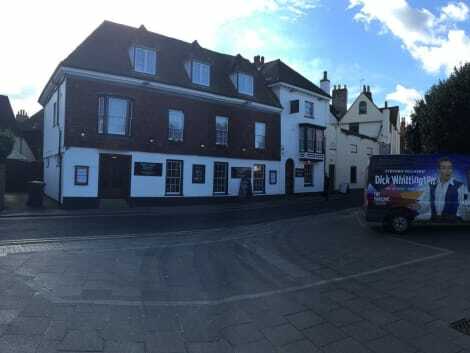 When it comes to eating out, Canterbury has something to satisfy all taste buds – whether it's a gourmet meal you're after, or a fun family dinner, there's something for everyone. Take a seat, relax and watch the world go by in one of Canterbury's many small cafés or tea shops and enjoy some home-baked goodies and a warming cup of tea. Foodies will also enjoy the annual Canterbury Food Festival, which offers visitors the opportunity to try new foods and enjoy fresh, local produce.